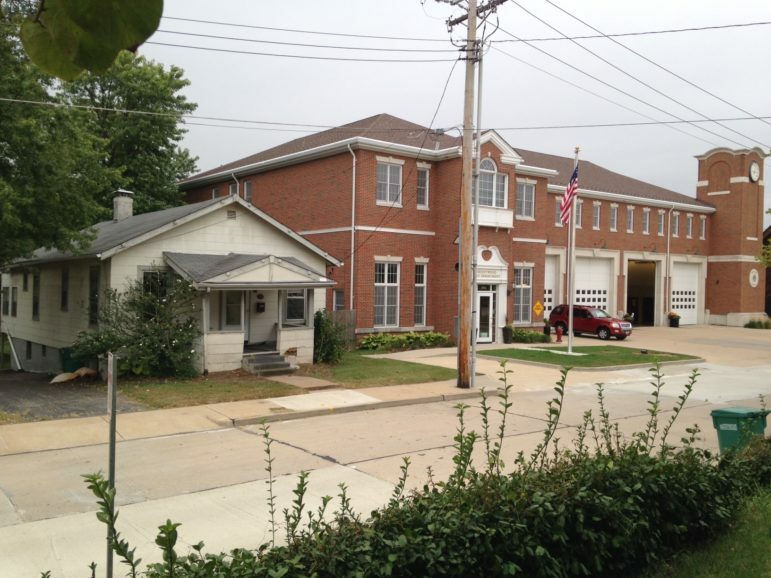 The city of Brentwood has purchased the house next to the firehouse (8746 Eulalie Avenue) on June 11 for $0, according to St. Louis County real estate information. The ‘Sale Validty Code-Name’ is listed as CERTIFICATE OF VALUE (UNVERIFED). Brentwood aldermen OK’d the purchase in May, then, for a cost of $200,000. The city bought the property to build an elevator on the outside of the firehouse so the building can comply with the Americans with Disabilities Act. The property will also provide room for a parking lot for firefighters, which is needed. The firehouse opened in 2011. The city has been contacted for comment. Well that was pretty dumb. You can’t buy something for zero, that makes it a gift. I don’t know how it works for governments, but a private citizen would have to pay taxes on its fair market value for a gift. Now if you purchase it for $1.00, you only have to pay taxes on that $1.00. That’s why you never gift a relative or friend with a car or house. You sell it to them for $1.00. Don – Leave tax information to professionals please. You do not pay taxes on a gift. If your gift exceeds the annual limit, then you file a Gift Tax Return that lowers your non taxable estate upon death. But you never pay taxes at the time of a gift. Also you are allowed to make deductible charitable contributions to governments, if the contribution is to be used for the public. This is just click bait reporting. Truth, doesn’t make sense to me. I expect it will be explained at some point. Go to the DMV and tell them you were gifted a car, see what they say. I’ll tell you what it is “You have to pay taxes on the fair market value”. As I stated in my original comment, I don’t know if it’s different for government agencies. It probably is. Tell the county you were gifted a house, guess what you’ll be paying. Taxes on the fair market value.